You need not understand these relationships to benefit from the copy and paste code included in this post. Again, do not be concerned if you do not understand this. These explanations are for the those who desire a deeper understanding of QuickBooks® tables and how QODBC uses them. 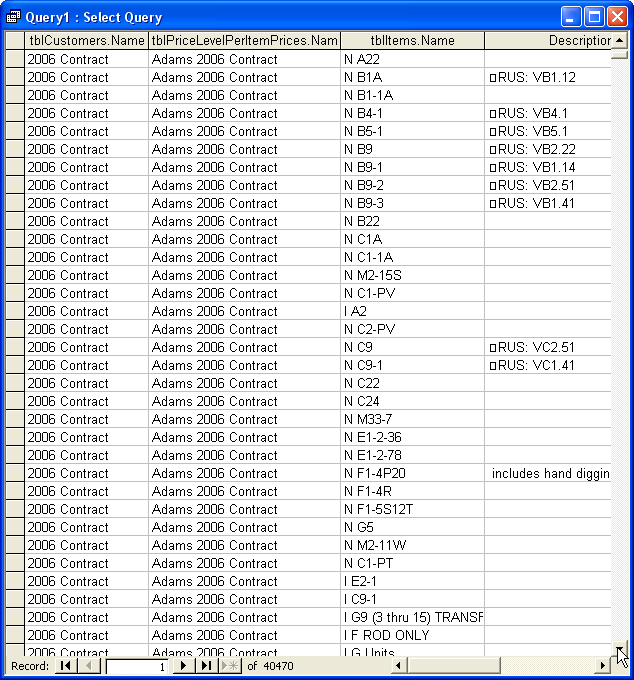 use QuickBooks® unique identifiers (PriceLevelPerItem ListIDs are unique for each price) to link PriceLevelPerItem records to records in a database table. You may think of other reasons to import prices from the PriceLevelPerItem table. Each business has different needs. Copy the function below, everything between the two lines of asterisks (do not include the asterisk lines). Paste the function into a new module. If you do not know how to create a new module, the post directly above on How to Select References also contains instructions on creating a new module. If you do not normally follow my posts and use my codes, you will find references to several other functions. These functions save time and you should have them in all your databases. They are short. Put them in a separate module so you can quickly import them into other databases for your convenience. The following function contains detailed explanations of each line. You do not need to understand the function. The explanations provide an excellent learning opportunity. 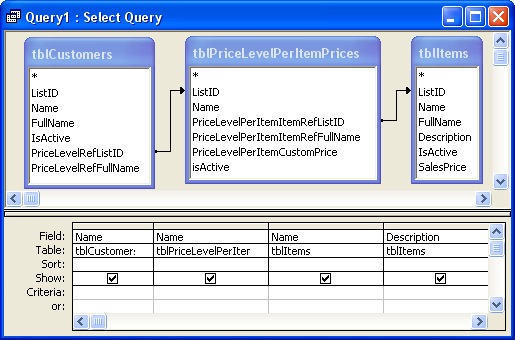 'you can simple select all fields with: qDef.sql="select * from pricelevelperitem"
Hi this is really interesting. Will it work with QB Enterprise? I'm really not sure as I don't use QB Enterprise. Have you tried contacting QODBC? I'm sure they can answer your question.